WhatsApp beta for Android 2.18.75: what’s new? WhatsApp has submitted a new update through the Google Play Beta Program, bringing the version up to 2.18.75. But what features has WhatsApp added and removed in this update? Let’s find out together what are them .. The Stickers feature is not available yet. WhatsApp is continuing to work on this feature in this update, and it will be enabled in next releases later. So it’s okay if you have updated your WhatsApp version and you don’t see it. 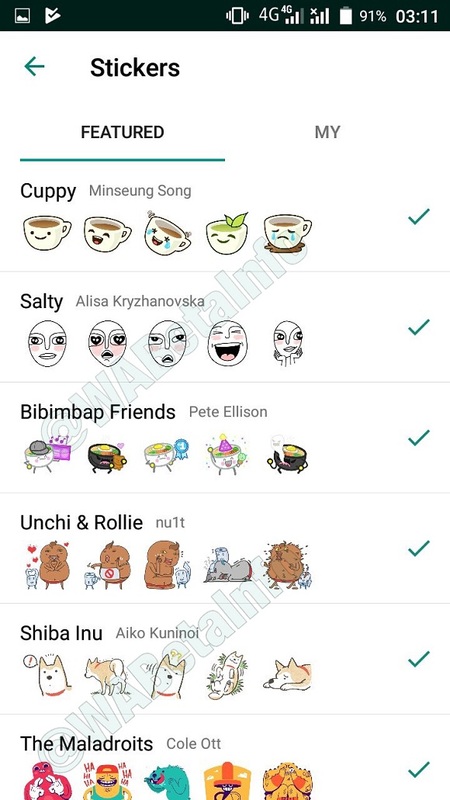 After adding the information about the stickers pack size in the WhatsApp beta for Android 2.18.71 update (that’s obviously not available yet), WhatsApp has recently updated their servers when the 2.18.75 version has been released, adding three new Stickers Packs. 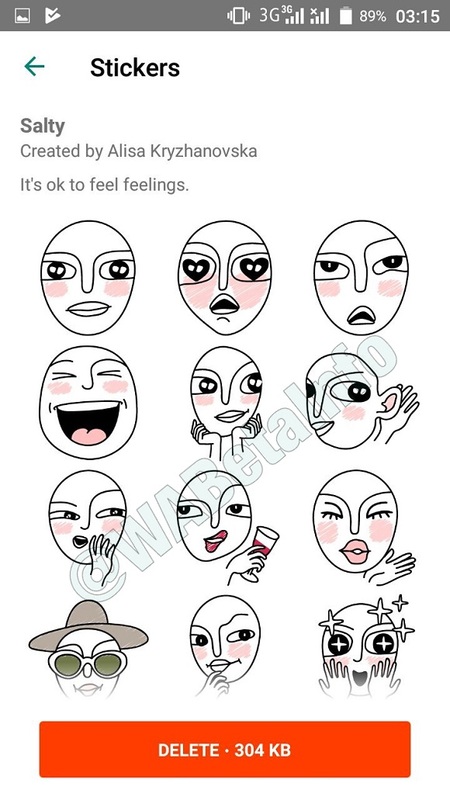 Once opening the WhatsApp Stickers Store we will notice all downloadable Stickers Packs, including these new ones. Now let’s go see close what are these new stickers packs.. 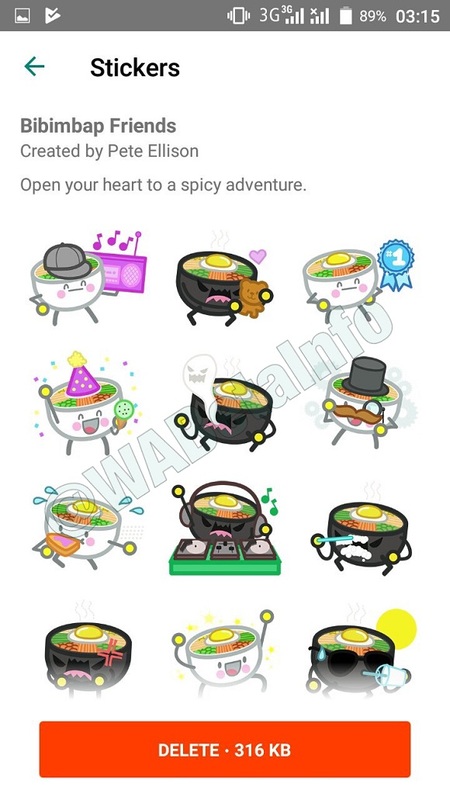 This stickers pack isn’t available in Facebook, so it may be an exclusive for WhatsApp. This stickers pack is available in Facebook. WHEN WILL THIS FEATURE BE ENABLED? A release date is not available yet, unfortunately, but you should consider that some features are currently missing and WhatsApp is continuing to develop the feature. Also translations are missing and WhatsApp never enables a feature without translating it before. Let us know on Twitter if you like these new Stickers Packs and read our next announcements on our Telegram Channel! Oh! WABetaInfo has a Discord Server about WhatsApp, where you can chat, give advice, ask help to other participants and read my announcements! • WhatsApp Web 0.2.8299: what’s new? New login design and new clues for voice and video calls on WhatsApp Web!. • WhatsApp beta for Android 2.18.19 and 2.18.21: what’s new? Animated Stickers!. 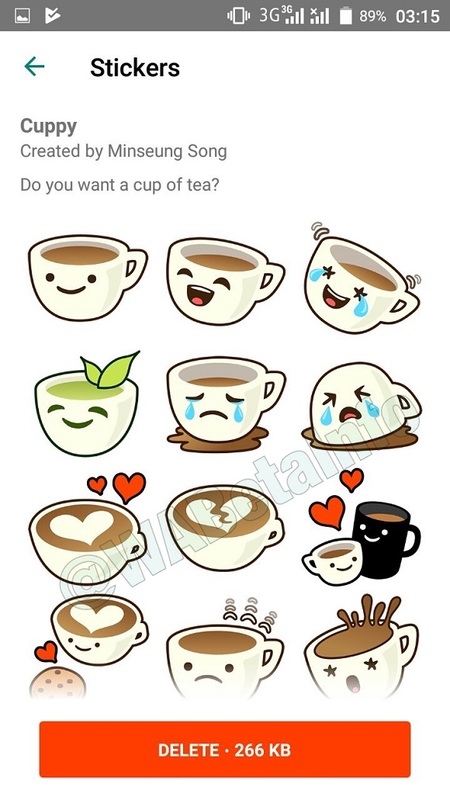 • WhatsApp Stickers Packs Store for Android. • WhatsApp uses automatic processes to verify businesses. • WhatsApp is testing a demote feature for groups on iOS and Android. Next PostNext Big plans for Messenger: new design, disappearing photos and videos, translations and more!